This is a very nice demonstration of Koshiki no kata (Forms of antiquity), one of the most advanced kata in the Kodokan kataset. These were the forms of the old Kito school from which part of judo theory and practice was devised. 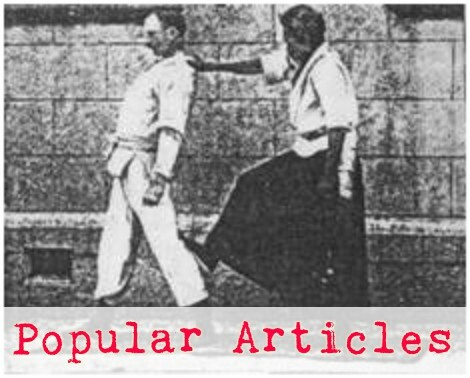 Koshiki demonstrates the principle of kito (literally "rise-fall" or "wax-wane"). Notice that the first section is composed of pairs of very similar techniques in which tori executes the first technique, then in the second repetition uke resists or changes it somehow and tori must accomodate the change. 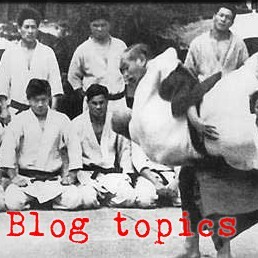 It is also a very punishing kata for uke, as you will notice that almost every technique is a sacrifice throw. Often you will see uke fall out to the side of tori and afterwards tori, in a kneeling position, will shift his knee out to the side. This is a symbolic reminder that tori could have brought uke down onto or over his knee. Ha! Yeah, no funky music, just strange looking kata.